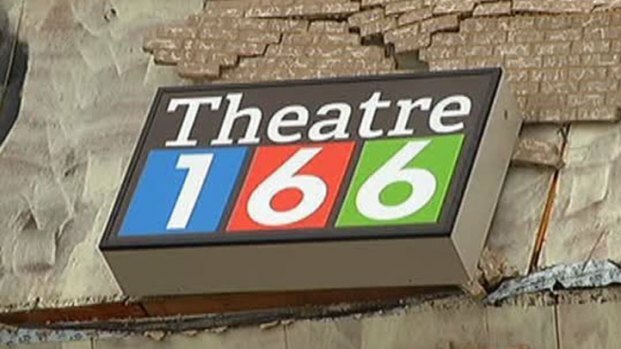 Theatre 166 in Hebron was very heavily damaged by a lightning strike that hit the building, staff members said. Cellphone video taken from the roof of the building shows that the entire roof caved in, seriously damaging most of the equipment inside. Continuous rain added even more damage inside. Crosspointe Church owns the facility and uses it for two hours every week. The rest of the time -- the other 166 hours of the week -- it is available for community use. Church staff said the building is a very important center in the Carrollton-Hebron community. 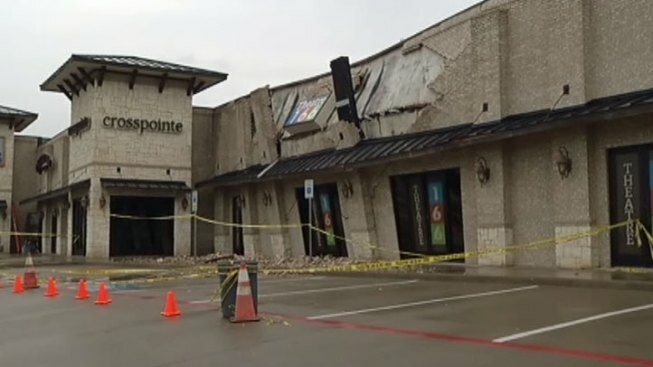 Recent storms caused the Theater 166 community theater in Carrollton to collapse overnight. "The church is a people, it's not a building," said staff member David Knight. "We're strong, and we're banding together, and we're going to rebuild. We want to serve our community in the best way possible, so we're going to come back stronger and better than ever." Crosspointe Church pastor David Wahlstedt said there's an interesting message in what otherwise would be a traumatic event. "We have been teaching and preaching and living life and community, and we said in the beginning that brick and mortar isn't what makes us, and that's a good thing, because the brick and mortar is pretty much laying on the pavement right now," Wahlstedt said. Structural engineers will go in and look at the building to see if it needs to be torn down or if some of it can be salvaged. One of the property owners said several other storefronts were not damaged, so only part of the plaza may need to come down. Wahlstedt said he thinks it may take up to six months to rebuild. Either way, the people who worship here and use this theater say they will be back on Sunday to worship -- either outside this space or nearby. NBC 5's Ray Villeda contributed to this report.